The spring season in Cades Cove can actually be one of the most unpredictable times of year with changes occurring rapidly, especially in the month of March. You can be outside one moment enjoying the sunny skies and then you may see snow flurries a few hours later! In general, the spring months can bring some of the most beautiful weather to the area. During the spring, the wildflowers start to bloom and the sun shines brightly onto Cades Cove. 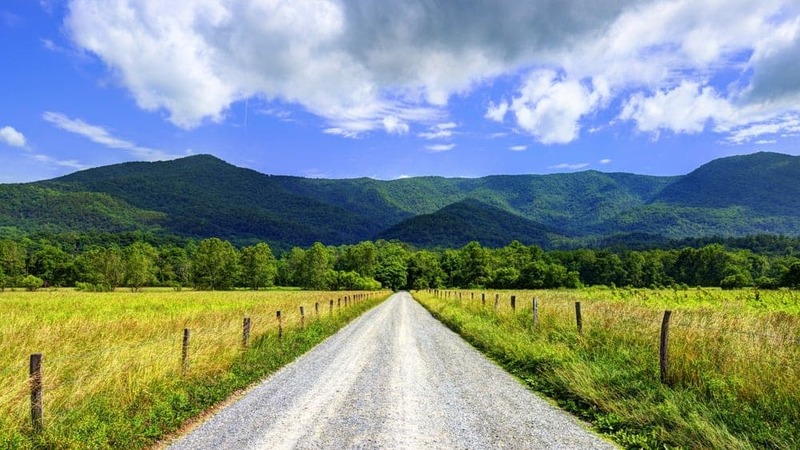 While the spring months can see quite a bit of rainfall, the weather is generally very pleasant making it the perfect time of year to drive the Cades Cove Loop Road with your windows down! The summer season is also a fantastic time of year to visit Cades Cove as the daylight hours are longer and it is drier than the spring months. Of course, afternoon showers and thunderstorms are fairly common so be prepared with ponchos and other supplies while hiking! Temperatures increase throughout July and August with afternoon highs often reaching the high 90s.This makes the morning hours and the evenings a particularly comfortable time to get out and explore Cades Cove. Always bring a light jacket because even in the summer months the temperature can change quickly, especially after a rain storm. The Cades Cove weather during the fall season is usually nice and cool, resulting in one of the most popular times of year to visit! Although the days are starting to get shorter, the tradeoff is the pleasant weather for enjoying the great outdoors. During the fall months, the leaves change into their vibrant colors of red, orange and yellow which is a beautiful sight to behold. Another great thing about the fall is that it is the driest period of the year with only occasional rain showers. As the cooler weather arrives into the area, the first frost often occurs as early as late September. By the end of the fall in November, the low temperatures are usually near freezing. Winter in Cades Cove is generally moderate but there can be extreme fluctuations in the weather. The area does receive snowfall each year with 20 inches being the average total accumulation throughout the winter season. About half of the days in the winter have high temperatures of at least 50 degrees so even the winter can be a great time of year to visit Cades Cove. Just be sure to plan ahead and make sure that the Loop Road is open on the date of your visit! 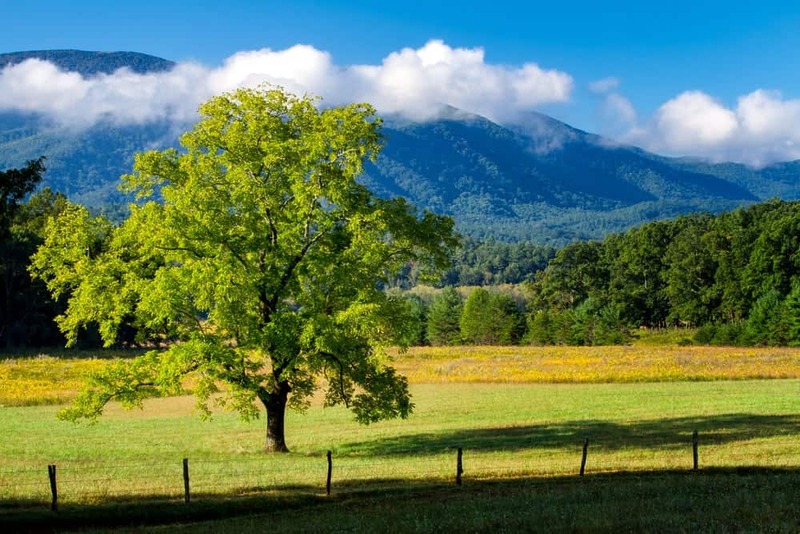 Now that you are familiar with the weather in Cades Cove, check out some of our other articles about Cades Cove and start planning your trip today! August 18, 2015 Comments Off on Where Is Cades Cove? Is Cades Cove Worth Driving To? Bear Spotted Walking Around Gatlinburg Hotel: Video Included!